AfriCanyon was launched in order to share this multipart kloofing route, which lies in the hidden valleys of The Crags, near Plettenberg Bay. Safety, ease of access, and adventure are all core to the AfriCanyon experience – it’s an adventure you’ll want to do again! 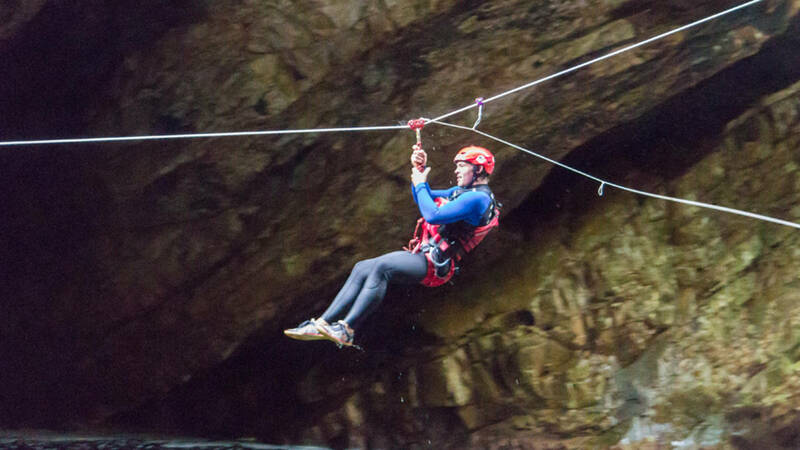 The AfriCanyon team will guide you through this outdoor adventure, with safety top of mind. Whether you have done this type of thing before or are a complete novice, with us you can do it! Africanyon can take groups of 8 (bigger groups in special arrangement) and there are 5 trips per day. An adventurer and explorer by nature, founder, Rogan Hindmarch, has explored this river with his sons and friends for many years. With over 10 years of Mountain Search and Rescue experience and over 30 years rock climbing experience, he ensures that the AfriCanyon team will guide you through this outdoor adventure, with safety top priority. As Rogan puts it, “AfriCanyon is offering heaps of fun while limiting the risk”. AfriCanyon’s Senior River Guides have attained accredited abseil qualifications and we put into practice a series of safety protocols. We assure you that you’re in safe hands. So Lets GO!